Your kid's grandparents can be the most trustworthy babysitters. But sometimes when your mother or father is taking care of your child it causes emotional and logistical issues. 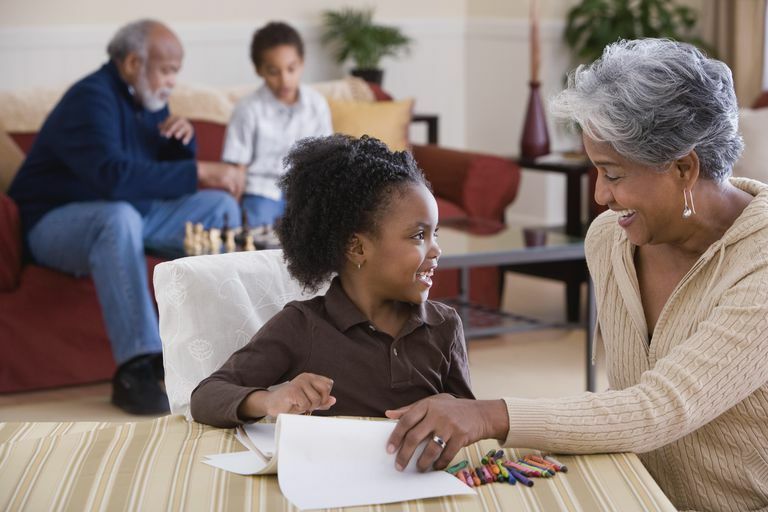 Steer clear of these five pitfalls to avoid when grandparents babysit. Sometimes it's hard to lay down the law with your own parents. But speaking up at the beginning of a babysitting session or throughout a regular child care arrangement will ensure its success. It's better to share how you want your child to be cared for than regretting that you didn't. The grandparents should know when your kids need to eat and sleep, and any rules that your family follows like how long to watch T.V, eating snacks, where to go out and appropriate discipline. For instance, if grandparents are always hinting that your kiddo should cut their hair, always say "no haircuts" before you leave kids. You can also write down your expectations. The grandparents may not follow all of your rules, because, they are the grandparents. So try to limit your rules to the things that you feel most strongly about or that have to do with safety. Too many guidelines will be hard for grandparents to remember. You don't want them to feel like you don't trust their judgment. Now that you've set some rules, you'll need to learn when to let things go. Like any relationship, you'll need to have faith that the grandparents will respect your parental boundaries and will live up to your expectations. If you come home and the kids' clothes are a mess or toys were put in the wrong spot, think twice before speaking up. Just because the grandparents took care of your children or your home differently doesn't mean they're wrong. Try taking a big breath and remember how grateful you are that the grandparents were around to help out. If you fall into this pitfall it may cause the grandparents to resent you and make watching your children less enjoyable for them. You don't want to anger the grandparent so much that you need to scramble to find new child care. If the kids are at grandma's house they should follow grandma's rules. The grandparents did a good job raising you or your spouse, right? So have faith that they'll respect your wishes and be lenient. Doing so teaches your children to respect their elders. Before the fun, babysitting times begin to get serious about the commitment your parents or in-laws are making. If you address everyone's concerns and come to an agreement about things you'll save yourself from problems later. Answer questions like will you pay the grandparent for child care? And who will organizes activities and pays for classes or outings? If they are watching your child daily, paying them puts the relationship on a more professional level and stresses that this is a serious commitment. That's what you want if you're working while grandparents are babysitting. Last-minute cancellations could jeopardize your career--and there are other ways to save money. On the other hand, remember to discuss the financial implications of paying grandparents for babysitting, such as having to pay the nanny tax. It may make more sense for you to pay for groceries, gas, outings or vacations than to fork over the cash. As part of this discussion, you can also discuss sick days and cancellations. Figure out ahead of time how much notice should you each give in the event of a cancellation? What will happen if your child or grandparent gets sick? Our parents know how to push our buttons because they installed them. And sometimes we can get under their skin too. But the last thing you want is to put your children in the middle of a decades-old power struggle with your mother or father. When you interact with the grandparents as babysitters, treat them just as you would treat any responsible adult entrusted with the care of your children. That means no subtle insults or digs and no references to past arguments. Avoid sentences that begin with, "You always..." or "You never..." or "I hate it when you...". If you have an especially difficult relationship with a parent (or parent-in-law) you may want to reconsider using that person as a caregiver. It may simply be too complicated. Your parents and parents-in-law may know your children very well. But kids change quickly, and it can be hard to keep up if you don't live with them. Before you leave to get the grandparents up to date on anything that may affect your child's mood or health. This includes things such as them having trouble sleeping or signs of an oncoming cold. Or perhaps they skipped a meal or snack. Grandparents may not make the connection between a cranky child and a hungry one. Let them know about any recently developed fears, such as of dogs, loud noises or certain stories. If your child has been having a time saying goodbye to you let them know about the onset of separation anxiety. And don't forget school issues or sibling rivalry that has happened recently so they can catch up quickly on mood swings.